Doing something that makes you feel a little uncomfortable every day, is how you grow and develop. You can stretch yourself just a little to begin with. Things that appear uncomfortable at first, will become comfortable after just a short period of time. Your comfort zone is where you feel secure, but only because you have become used to settling for less than you would really like. Your beliefs have led you to where you are today, but by gaining some new beliefs, you can move forward one small step at a time. Regularly stepping out of your comfort zone will not only allow you to grow and develop, but as you stretch yourself, you will also start to believe that you can achieve more of your dreams and ambitions. Your comfort zone is the place where you are free from anxiety and stress, your behaviours are pretty normal, there is little or no risk, and you are comfortable. This may seem like an easy life, but some people are so used to this that they have become comfortable with a situation that they don’t really like. It just seems that the easiest option is to remain in that place. 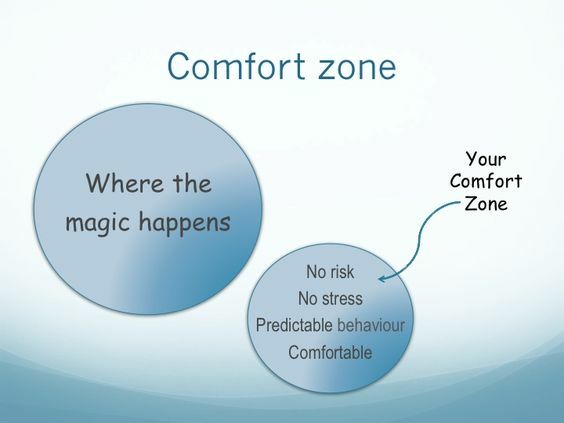 Outside of your comfort zone is definitely where the magic happens! 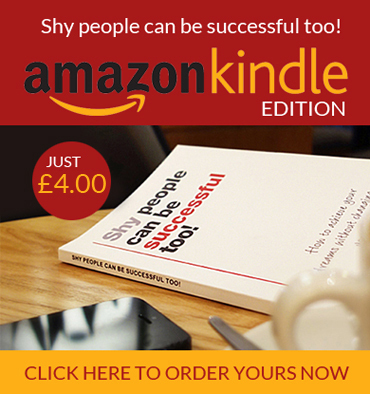 Try this easy way to step out of your comfort zone and start to make magical things happen in your life……. 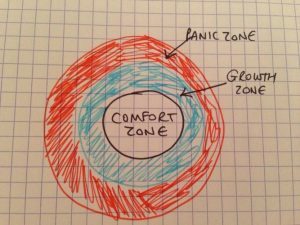 Surrounding our comfort zone is an area that I will refer to as the growth zone. Anything that we do that falls into this area will cause us to grow. Surrounding the growth zone is an area that I will refer to as the panic zone. Anything that we do that falls into this area will cause us to panic! The way to move out of your comfort zone in a way that is going to be the most successful and rewarding for you, is to gradually make changes and try new things. If you attempt to stretch too much in one go, you may find yourself in the panic zone. Here you are likely to become highly stressed and experience feelings that may cause you to never want to attempt those things again. 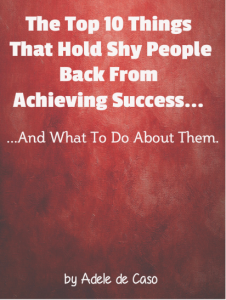 The secret is to stretch just enough at first to enable you to move into the growth zone. You will only experience slight discomfort, but it will be enough to cause growth. You will be able to return to this experience time and time again and will soon become completely comfortable. Your comfort zone will become bigger as you continue to stretch yourself and try new things. 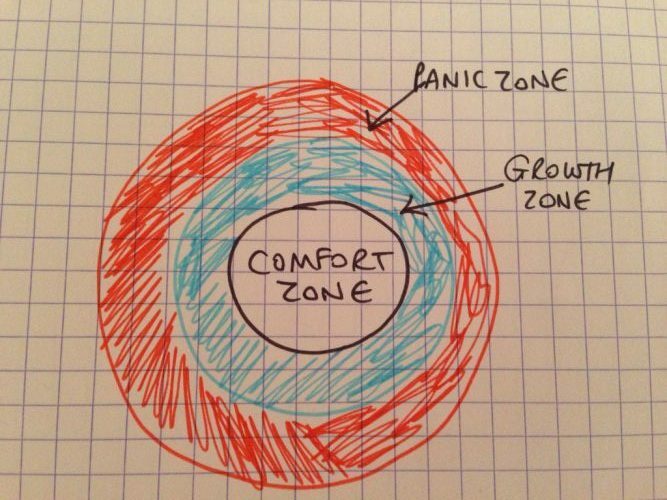 Eventually your growth zone will be where your original panic zone was! I hope this has helped. It certainly helped me when I started to look at it this way. 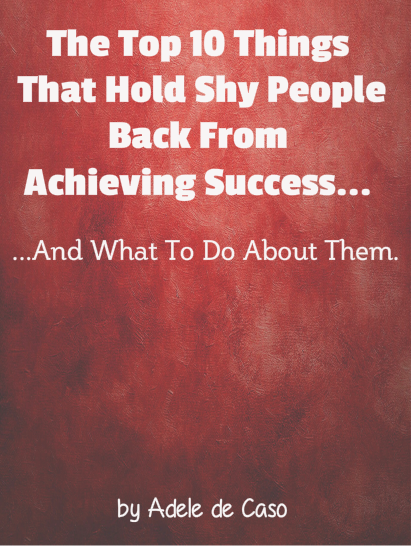 This entry was posted in Blog and tagged Belief, comfort zone, Shyness. Bookmark the permalink.